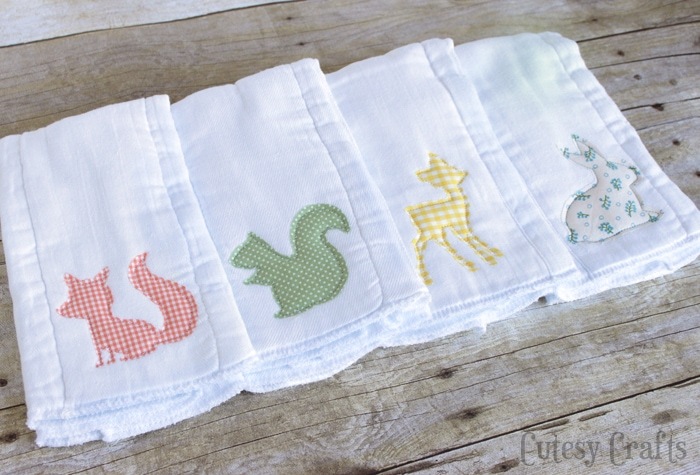 Are you always jealous of that person at the baby shower that brings the cutest homemade gifts? Maybe it’s just me. As crafty as I am, I always just default to buying something because I don’t have time. Well, I’m trying to get ahead of the game by stocking up on some easy, homemade baby shower gifts. 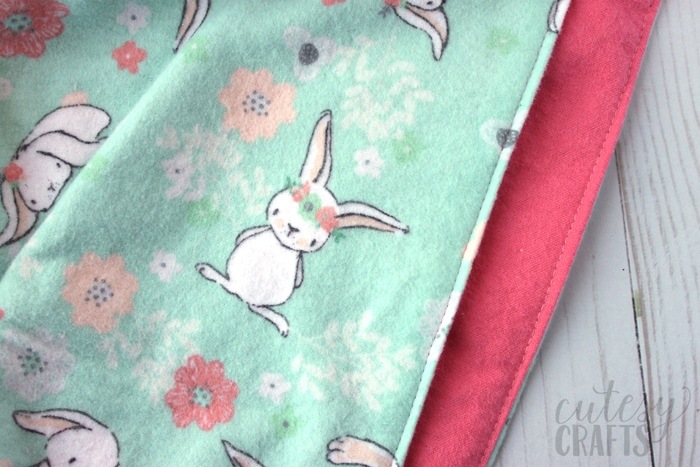 I thought I would show you how to make a blanket for a baby that is super duper easy. 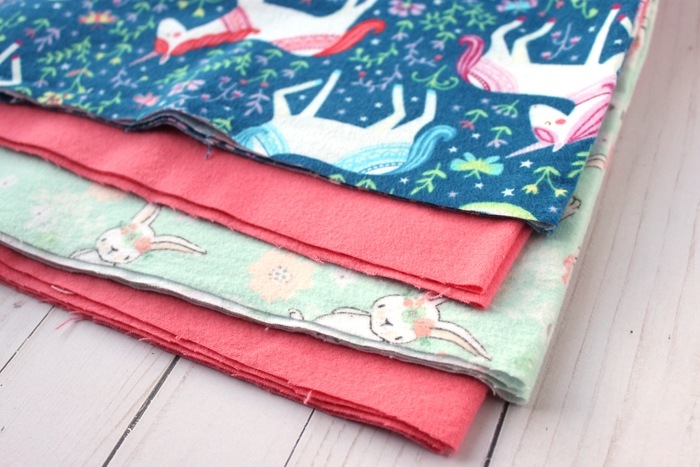 All you need are a couple yards of flannel, which comes in some of the cutest nursery prints! Coordinate this with some cute matching burp cloths or hair bows, and you will be the one that everyone is jealous of. 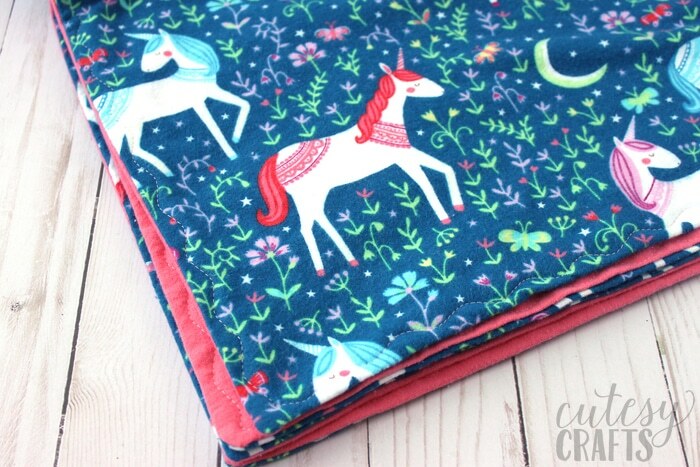 Here’s my tutorial for how to make a baby blanket from flannel. Two pieces of flannel – At least 1 yard each. I used 1-1/4 yard pieces to make them a little bigger. Coordinating thread – One to match the top and one to match the bottom. First thing you need to do is lay out your flannel and straighten up all of the edges. Make sure the two pieces of flannel you use are the same size. 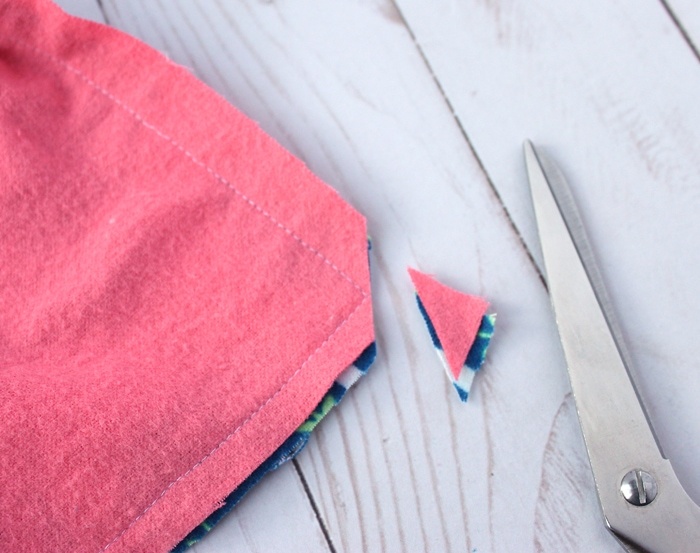 Use a rotary cutter and cutting mat to make it easier to cut your edges straight. Pin the two pieces right-sides-together (with the print on the inside). 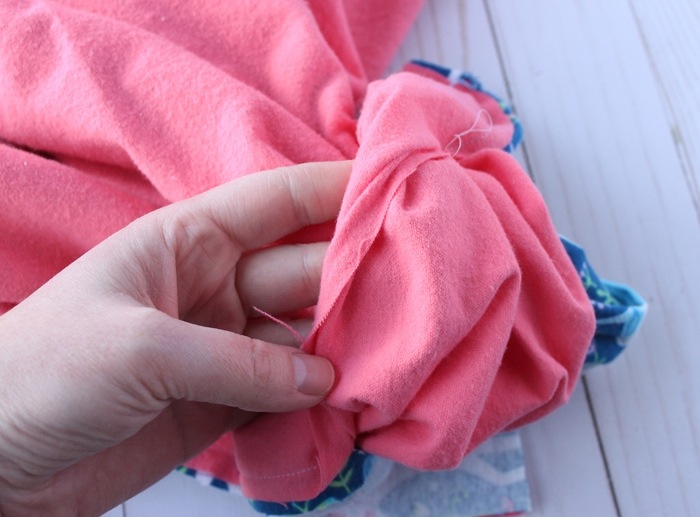 Sew a 1/2-inch seam all around the outside of the blanket. Remove the pins as you go. Leave about 8 inches unsewn. Cut off each of the four corners, being careful not to cut through the thread. 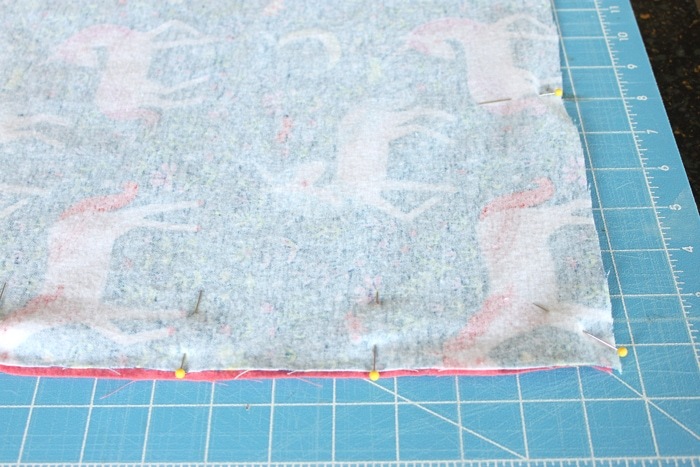 Turn the blanket right-side-out by pushing the fabric through the gap in your stitching. 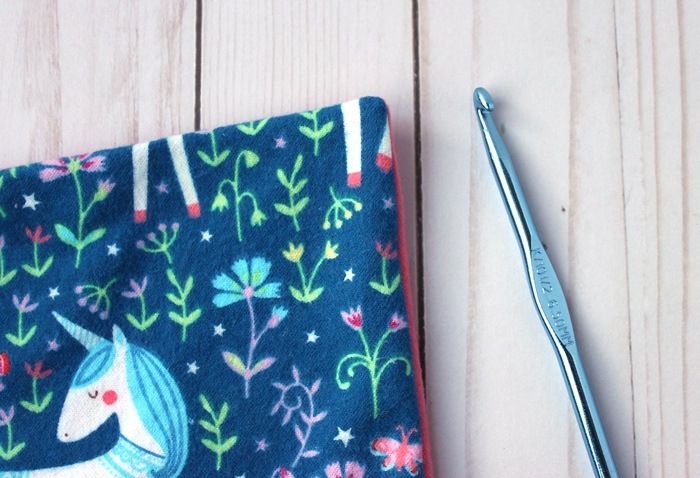 Use a chopstick or crochet hook inside of the blanket to poke out each of the corners. 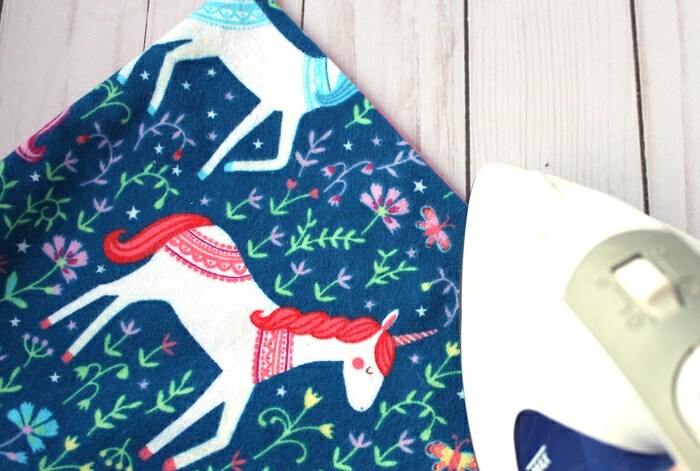 Iron the sides of the blanket to get a nice, crisp edge. 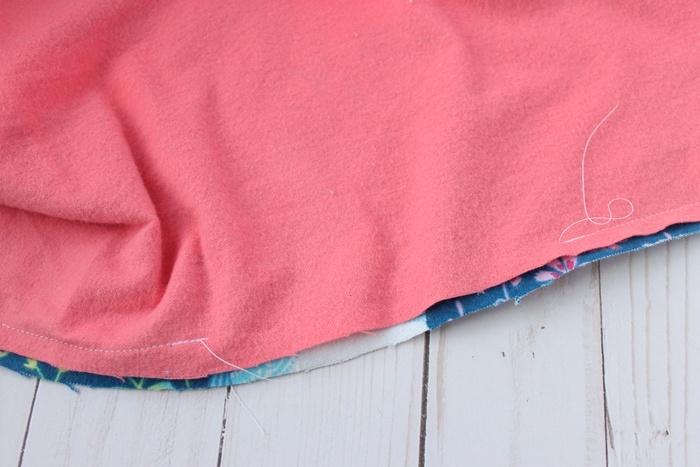 Stitch around the edge of your blanket using a straight or decorative stitch. 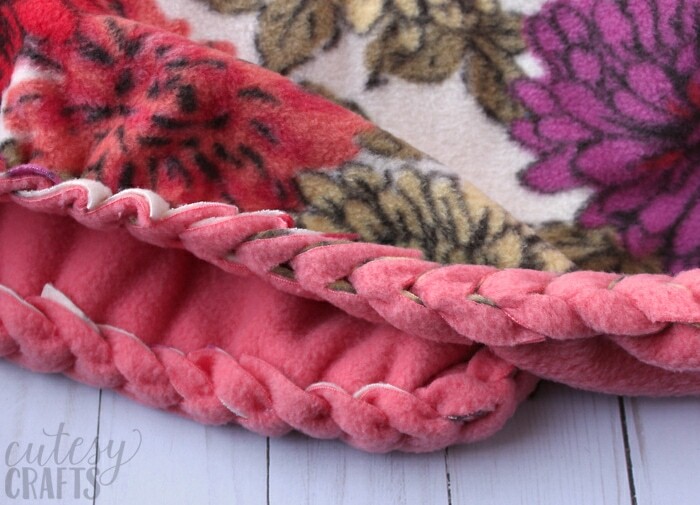 If you use a decorative stitch, you should hand stitch the opening of your blanket closed first. 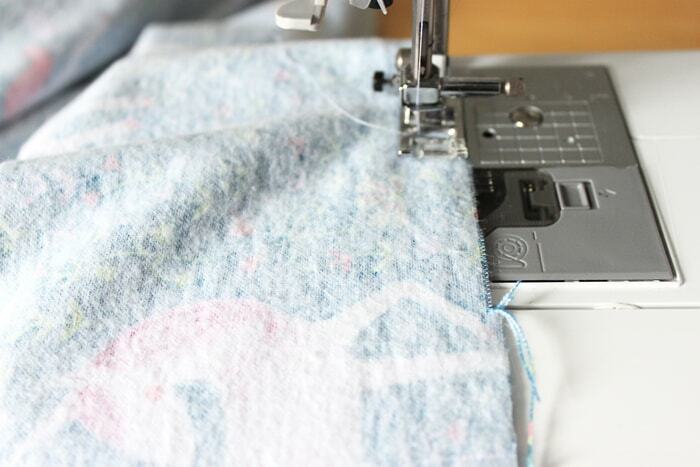 If you use a straight stitch, you can just sew the opening shut when you sew around the blanket. If you are a beginner, I recommend just doing the straight stitch. 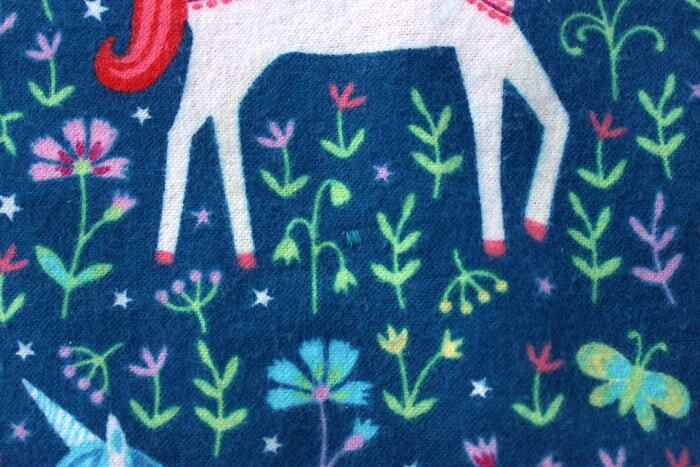 The decorative stitches can be hard to line back up if you run out of thread or make a mistake. To ensure the blanket keeps its form in the wash, I like to sew little spots on the blanket using a tight zig-zag stitch. 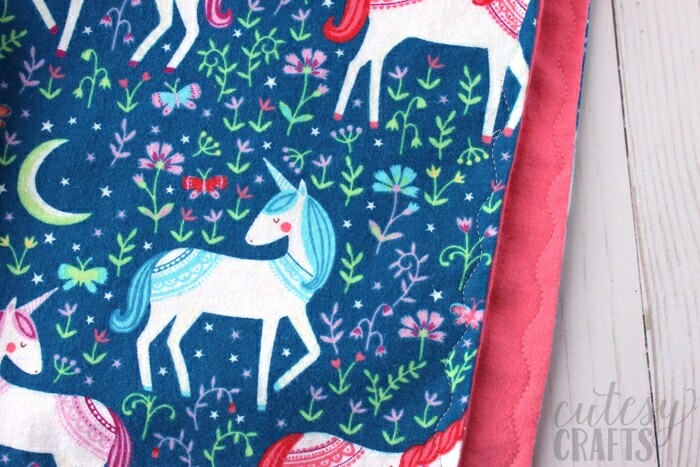 This is the reason that a lot of people “tie” blankets with yarn, but I like this look better. In the photo below, you can hardly see it! I didn’t care very much about being accurate, so I just folded the blanket in thirds and then in thirds again. I marked the four corners of the folds with pins, and that’s where I sewed. I changed my top thread to match the top of my blanket and the bobbin thread to match the bottom. The zig-zag stitch length on my machine was set to .5, and stitched about 8 stitches forward and 8 stitches back. Easier than it sounds, I promise! That’s it! 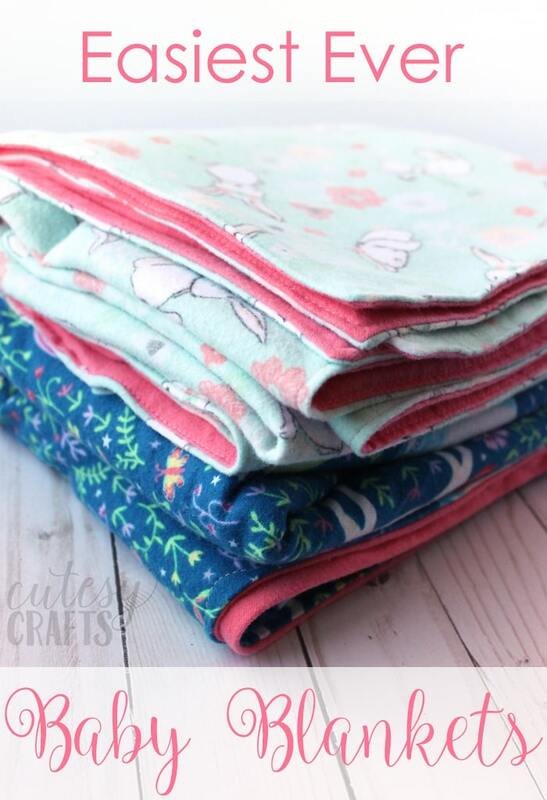 Hopefully you now know how to make a blanket so you can make cute baby shower gifts. These are so easy to make, I stitched up a few in new time. Now someone just needs to have a baby girl so I can give her some blankets. Be sure to check out these other baby crafts. 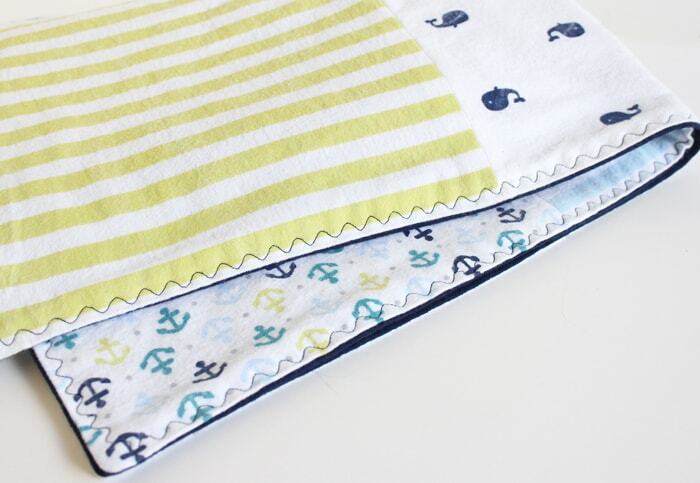 If you like making baby blankets, also check out this easy strip quilt pattern from Woodberry Way. So clever. The decorative stitch takes it to the next level and the zigzags are such a good idea. I can’t wait for someone around me to have a baby. 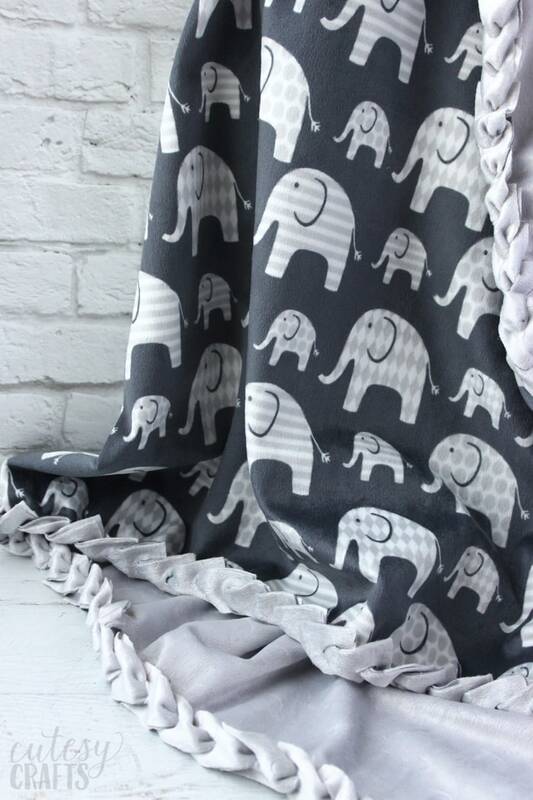 Jessica, I loved the idea of cute baby blankets. I also prefer to give a gift that I made myself, but we do not always have the time. I think I’m going to take your advice and make some assemblies ready. Thank you for sharing. Thanks Lilian! 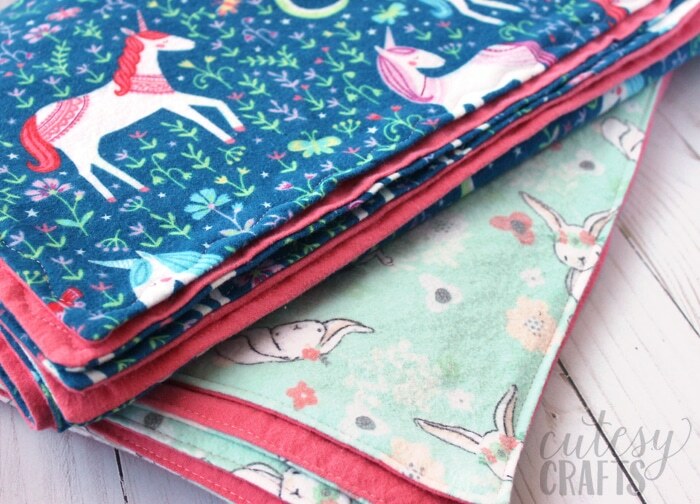 These are so easy to make, and there are so many cute flannel fabrics to choose from. So glad this idea was helpful to you! I like the idea of the baby blankets that I made two for my first great grand expecting to arrive in July. Oh that makes me so happy to hear! Glad you liked the idea. Congratulations on your great grand baby. That is so exciting!